The band's second studio album was released 35 years ago today. Mars discusses early inspirations, Mötley Crüe, Ernie Ball strings and more. 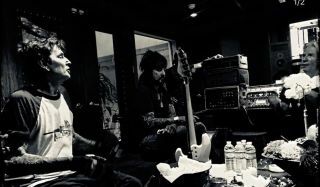 As the hard-rocking Crüe Fest tour gets underway, Mötley Crüe’s Mick Mars and Buckcherry's Keith Nelson discuss their bands’ latest albums and why guitarists have the toughest job in the business.